Obituary: George Bartlett, Bartletts Hi-Fi, 1946-2012 | What Hi-Fi? It is with great sadness that we announce the death of George Bartlett, Director of Bartletts Hi-Fi in Holloway Road, north London. George died on June 1st 2012 following a cardiac arrest at home on Tuesday, 29th May. Despite diligent medical care in The Princess Alexandra Hospital, Harlow, George didn’t recover. He is survived by his wife Wendy, son Warren and daughter Sarah. David Jefferys of Armour Home, a family friend, says: "George was a wonderful person who made everyone he met feel as if he'd known them for years, even at the first meeting. He was devoted to his family, an excellent retailer, a well known and respected personality in the hi-f industry and an active BADA member. 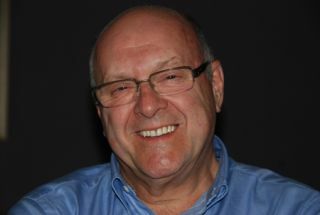 "He will be sadly missed by all those who came into contact with him, his staff, his customers, his suppliers and the sales people who called on him over the years (and whom he would say he trained on how to conduct a meaningful sales call!). "George had all the qualities needed of a good retailer – understanding, business acumen, a brilliant sense of humour and perhaps most importantly the knack of being able to quantify what a customer needed to sell the customer what they wanted." George’s funeral will be held shortly. The family has requested that only the family give flowers. It asks that other mourners, and those who want to, make a donation via the Just Giving site in memory of George, at www.justgiving.com/George-Bartlett. The money raised is being donated to the £30,000 appeal by the Intensive Treatment Unit at The Princess Alexandra Hospital, Harlow for an 'Echo Machine'. To have their own machine on the Unit in Harlow will enable doctors to be able to diagnose and treat quicker at anytime of the day or night. Bartletts Hi-Fi, established in 1958, will continue to offer the same service to the same values that George held close to his heart. Bartletts philosophy is to keep the whole buying process as simple as possible, believing that evaluating even today's sophisticated hi-fi/home av equipment should be a pleasurable experience for the consumer.